You may not know the term, “Fleur de Lis” but you have likely seen this type of door. If you live in the South, particularly in New Orleans, you have probably knocked on a few in your time, even if you did not know it. These doors are historical, traditional, classic and absolutely stunning. The beautiful emblem that can be found on all of the doors goes back centuries, but its exact origins and what the symbol is exactly are still under debate. The Fleur de Lis door is iconic in the New Orleans area. This type of door has been a part of the city’s culture since the people of La Nouvelle Orleans settled in the area and hung their Fleur de Lis flags. Over time, the style and substance of the doors have changed a bit but the general symbolism and the lovely floral theme has not. 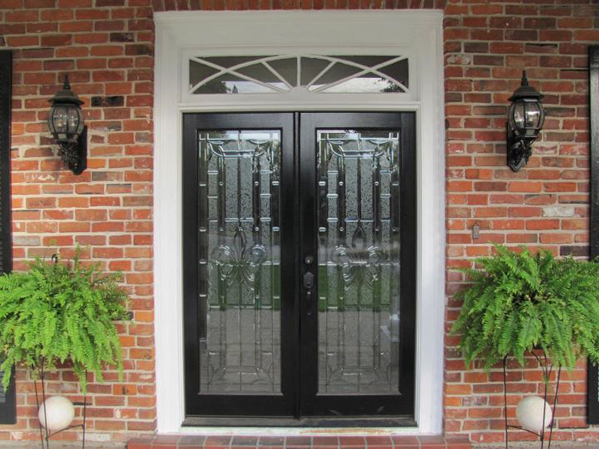 Fleur de Lis doors are incredibly popular worldwide and there is good reason. They are absolutely beautiful, classic and elegant. The local secret is out. At Doors of Elegance, we have a wide array of choices for you so that you can pick the perfect door for your needs. But, they all have a few things in common. They are all marked with an emblem that is likely based on the lily or iris and, though designs have changed and artists have interpreted the Fleur de Lis over the years, the beautiful simple floral symbol is always present. We know that a door is more than just a door. It is an entryway into your life, it protects your family, and it is the first thing that visitors see. You don’t want just any door. And, if you are a New Orleans resident, the Fleur de Lis is the perfect nod to local culture. If you are looking for an amazing deal on a quality door that will last for generations, then you can’t go wrong by coming to our showroom. We have a great staff of committed and excited door experts who will be thrilled to chat with you all about your needs. We love helping families find the right piece for their home and consider all of our doors works of art. At Doors of Elegance you’ll find we have two priorities: quality and attention to detail. We are family owned and operated and have been serving this area for 30 years. We know our doors and our community. We particularly love the Fleur de Lis door because it represents our community and the area in which we live. New Orleans and the surrounding area are our home and we take pride in installing a bit of local history in the homes where we work. Contact us today to find your perfect door! Our talented staff is standing by to assist you.